So, you finally got around to reading—or, no shade, listening to the audiobook version of—Parker Posey’s memoir, You’re on an Airplane, and you want more. More random childhood anecdotes.More insider celebrity gossip. More tales of on-set intrigue and relatable foibles! More…lists cleverly disguised as essays to help pad out the page count! Good news! With the changing of the seasons comes a plethora of fun and frothy tell-alls and essay collections from a wide spectrum of funny ladies. Here are five coming your way in October alone that are worth checking out. As a small child, Ellie Kemper wanted desperately to commune with the squirrels who lived in the branches surrounding her treehouse. Which is to say, she wanted more squirrel friends, and her literary debut is sure to earn her some. 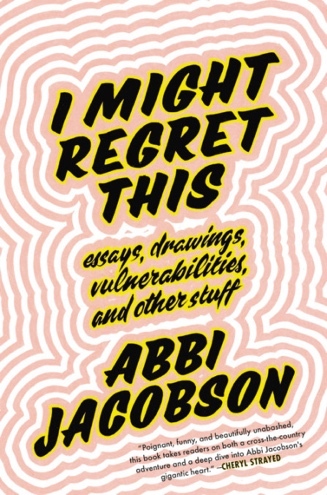 The Unbreakable Kimmy Schmidt star is, of course, a delightful ray of sitcom sunshine—despite being a world-class, tyrannical diva who cannot keep track of her own underwear—so expect that same wholesomely chipper attitude in this collection of essays about growing up and getting into showbiz. Want anecdotes about Tina Fey, Steve Carell and (shrug emoji) Ricky Gervais? She’s got ’em. Plus, the tragic tale of being rejected by those squirrels. Maybe you’ve never seen Freaks and Geeks or—Big Carl, give me strength—Cougar Town, and have often wondered, Who is that fabulous blonde woman that Michelle Williams is constantly taking to awards shows? She looks like a damn good time! Her name is Busy Philipps, and she is! (For real, you should follow her on Insta right now and then come back and finish reading this.) 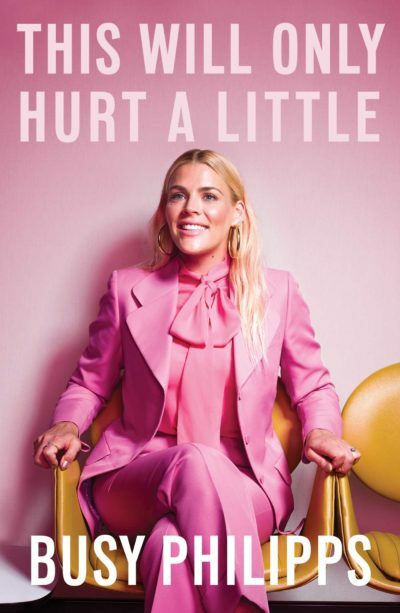 But, when it comes to Hollywood, you gotta take the sour with the sweet, and in her new memoir, Philipps offers up unflinching tales of on-set harassment, showbiz sexism and personal loss alongside stories infused with her effervescent, no-fucks-given sense of humor. Ok, this one is probably the heaviest tome on our list, but as Transparent creator, Jill Soloway would point out, it’s a spectrum, not a binary. We all know the broad outlines of how Soloway’s father’s gender transition formed the basis for their award-winning and revolutionary Amazon dramedy. But how did that same paradigm-shifting event star Soloway herself on the road from straight, divorced mother of two to the influential non-binary genderqueer creator and activist they’ve become over the last few years? That’s what this feminist memoir is all about. Now, this one…should be interesting. Look, it’s been a hell of a year for Mamma Ru. Drag Race is bigger than ever, he has a few Emmys under her belt. But as the wattage on that spotlight increases, the blemishes become more visible. While the world at large still see him as the elder statesman of drag, the controversies that have continued to flare up surrounding Ru and his reality show—from his reaction to the “She-Mail” controversy to recent tone-deaf comments on trans contestants to reports from the Drag Race set that cast him in a very revealing light—have some reconsidering RuPaul. Into that atmosphere comes GuRu, a fully illustrated guide to the author and icon’s personal philosophy. 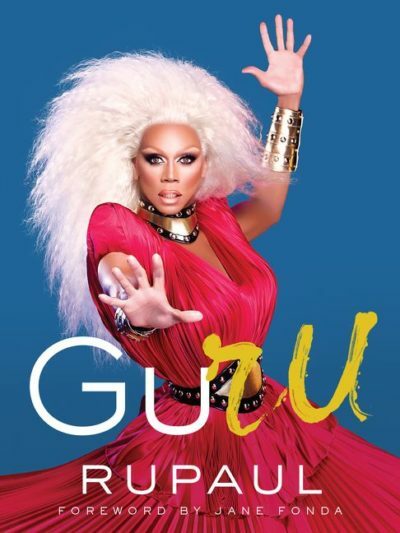 It’ll be interesting to see how much Ru chooses to reckon with recent criticisms and controversies—and how much of GuRu is just Goop-y nonsense. A while back, Broad City star and co-creator Abbi Jacobson fell in love with a girl. And then they broke up and then she went on a road trip and then she wrote this book. She also illustrated it and filled it with lists and notes from her travels across the country from New York to L.A. Less insider dish, more “What I thought about on my summer vacation.” Part travelogue, part diary, you come for the delightful observations about road snacks and the life-changing magic of tucking in your shirt, and stay for the endearingly honest, quirky reflections on life, love, art, and work.